Boosted up with the advanced functionality, the latest version of Drupal, i.e. 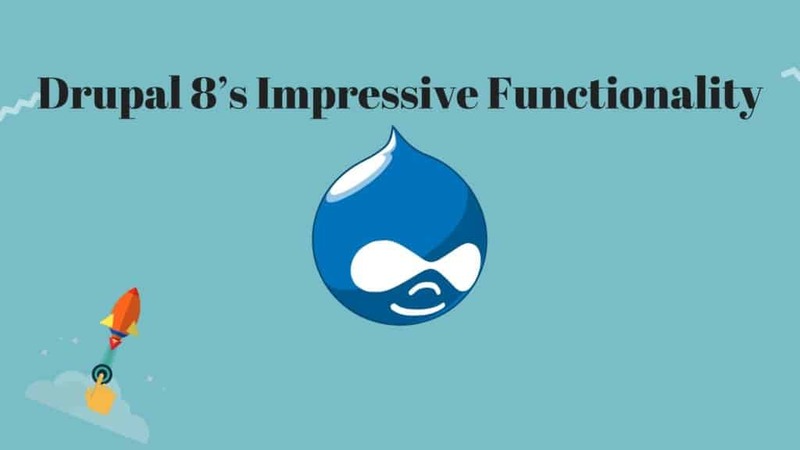 Drupal 8 has better possibilities of advancement in terms of functionality. There is an ample number of improvements seen in the latest version. This improvement is of greater benefit for the end user. This version eliminates the need to be dependent on additional modules. This latest version has earned huge applaud for making things simpler for editors and content administrators. It makes use of WYSIWYG editor to make content editing easier. CKEditor functionality of the software also offers ease in quickly editing the content. The latest version of Drupal, i.e. Drupal 8 has taken speed as a crucial element. Drupal 8 helps in the development of websites that perform speedily. Drupal websites get loaded easily, quickly and efficiently. This, in turn, saves a lot of time of users. Drupal 8 comes with an improved preview functionality. Previews can now be seen within the theme. Users can view exactly how your changes will appear on the website. Besides, the option of publishing is easily integrated with Save button. With this feature, developers can easily decide whether they wish to publish or not a node upon saving. It also offers an in-line and in-context editing other than WYSIWYG editor. Built-in themes of Drupal 8 are responsive. They can be used right from the phone. The newly admin toolbar created is responsive and can be handled right from your mobile phone. It automatically resizes itself on larger screens while collapsing. Drupal 8’s backend interface comes with ample flexibility for customization. This feature is of great use both for developers and website users. Drupal offers simple customization for both tech geeks and non-techies. Twig theming template engine is something new you will come across in Drupal 8. The twig separates login and display in a better way. Other than this, improved security is another enticing feature of the CMS. Drupal 8 is recommended for extra security features. The CMS offers an extra secure environment for web developers, businesses and end users. One does not need to be worried about on-site security breaches. Drupal 8 has default themes, trusted host patterns, twig security, URL detection and other features that are based on dynamics. These features can help make a website secure. Drupal 8 has been designed with a mobile-first approach. The themes provided by the CMS are responsive and automatically resize to look great on mobile. Owing to theme flexibility, the CMS helps in the development of attractive websites that can easily be adapted to any mobile device. The latest version makes it easier to provide content that looks great both on small and larger screens. Drupal 8 has a multilingual feature in its core. The latest version supports up to 94 languages. Other than this, the CMS also features modules for language and translation support. The CMI system of Drupal 8 is quite interesting. This feature is integrated directly into the core programming. It differentiates the content from the configuration. Time is saved and the work is streamlined. Drupal is undoubtedly a great choice for any kind of business. Though it has been officially out for a couple of years now still has not been accepted by many entrepreneurs. By having a look at these functionalities, businesses will be able to create a sophisticated and user-friendly website. When it comes to ease and comfort, Drupal 8 is the right choice you have beforehand. In the days to come, it will definitely emerge as one of the best CMS in terms of improvements and updates. Its adoption will continue to rise and the CMS will soon become the backbone of more and more digital experiences. So, if your business is not already on Drupal 8, you need to consider an upgrade.